For the airline industry, it seems, profits are in the bag(s). Last week, the Department of Transportation reported that U.S. airlines collected $2.56 billion in baggage fees during the first nine months of the year, a 29 percent increase over the year before. The biggest hauls went to Delta, $733 million; United, $431 million; and US Airways, $388 million. Perhaps that explains why US Airways President Scott Kirby recently told analysts that he expects fees for checked bags and other ancillary services to represent 100 percent of the airline’s profitability this year. Think about that. For an industry that transports people from one place to another, solvency through surcharges represents “a structural change” (Kirby’s words), not just for US Airways, but for the rest of the industry and travelers, as well. Vote: Have fees affected the way you travel? 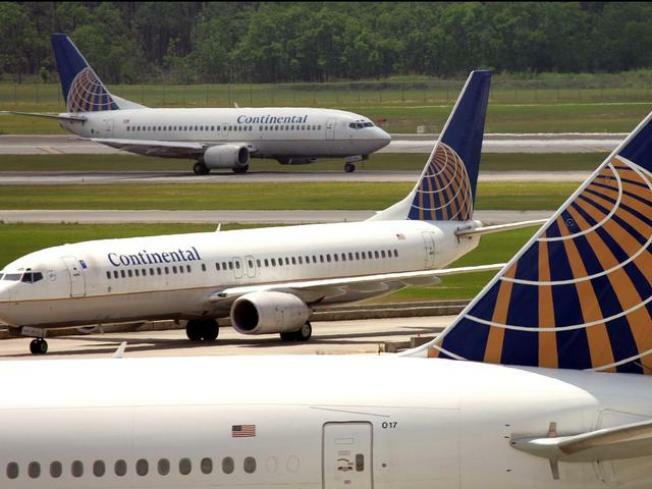 Last month, Glenn Tilton, chairman of the recently formed United Continental Holdings Inc., predicted that the U.S. airline industry would post a $4 billion profit this year. If his prediction holds, it represents a stunning turnaround from the $3.4 billion it lost last year. Meanwhile, the industry took in $4.3 billion in fees for checked bags and reservation changes alone during the first nine months of the year. That figure doesn’t include revenues for other ancillary services — everything from pet fees to priority boarding — which the government doesn’t break out, let alone revenues from the last three months of the year. “Airlines are going to make profits where they can,” said consultant Robert Mann of R.W. Mann & Co., “and it’s just been easier to do it with fees than with fares.” Last week’s industry-wide $10 fare hike, notwithstanding, it’s safe to say US Airways won’t be the only carrier that will attribute the bulk of its 2010 profits to ancillary revenues. The latest addition to the à la carte menu is Continental’s new FareLock service, which lets travelers hold a fare for 72 hours or seven days for fees starting at $5 to $9. The fee is in addition to the fare, is not refundable whether the fare is booked or not and will vary according to the itinerary, number of days until departure and other factors. “Baggage fees, reservation change fees, peak travel fees — there’s a reason these are cash cows for the industry,” said Raphael Bejar, CEO of Paris-based Airsavings S.A. “They are essentially compulsory.” The result? Artificially low fares that don’t reflect the actual cost of travel and angry customers who feel they’re getting fleeced. Obviously, this works better on the airlines’ own Web sites than on third-party aggregating sites, where even a small difference in price can land a fare on page 17 of the results. Such rebundling offers no overall savings, but it does allow customers to pay for the services and amenities they value. Both Air Canada and Frontier have been offering tiered fares — higher or lower with or without advance seat assignments, mileage-plan credits, etc. — for several years and others are rolling out packages that combine multiple services and amenities for a single fee. United’s Premier Line service, for example, combines priority access for check-in, security and boarding. The service, which typically costs $19 and up, is being offered at up to 50 percent off through Jan. 4. Meanwhile, and even with healthy profits this year, the industry is already bracing for less revenue in the coming months. According to the latest projections from the International Air Transport Association, the global airline industry will make $15.1 billion this year, but drop to $9.1 billion for 2011 due to slowing economic growth and rising oil prices, currently approaching $90 per barrel. All of which suggests that the cash cows of ancillary fees will only become more important. The “herd” will be expanded; new “breeds” will be developed, and travelers will have little choice but to sift through the results as they try to determine the actual cost of their travel. “Actually, a milk cow has it better than airline passengers do,” said Mike Boyd of Boyd Group International Inc. “It’s not an airport; it’s a dairy barn.